OCALA, FL. – The first event of the LPGA’s 66th season wasn’t held very far from the site of the circuit’s very first tournament, in 1950. That one was at Palma Cella Country Club in Tampa. The 2015 debut also wasn’t far from the organization’s headquarters. It was played at Golden Ocala Golf & Equestrian Club, a beautiful facility nestled in the horse country of northwestern Florida. It’s about 100 miles from Palma Cella and it’s not much further to LPGA headquarters in Daytona Beach. This season opener, though, was an indication of how far the LPGA has come, and the inaugural Coates Championship could trigger the biggest year yet for the premier women’s circuit. The event drew great crowds, and organizers had no problem recruiting over 850 volunteers to help in putting the tournament on. The competition was excellent, as well. South Korea’s Na Yeon Choi captured her eighth win on the LPGA Tour, shooting a final round 68 to finish at 16 under par 272 and one better than 17-year old sensation Lydia Ko, Jessica Korda and Ha Na Jang. That gave Choi the $225,000 top prize. Ko, though, gave the tournament a place in history. Her second-place finish in the Coates Championship boosted her to No. 1 in the Rolex World Rankings. That made Ko the youngest golfer — male or female — to reach No. 1. This LPGA opener represented a departure from recent years, when the circuit usually played its first tournament outside of the U.S. (Four of this year’s first five events, though, will still be beyond U.S. borders – in the Bahamas, Australia, Thailand and Singapore). The Coates Championship at Golden Ocala didn’t have the traditional Thursday-Sunday run. This one started on Wednesday and concluded on Saturday to avoid a conflict with the Super Bowl. 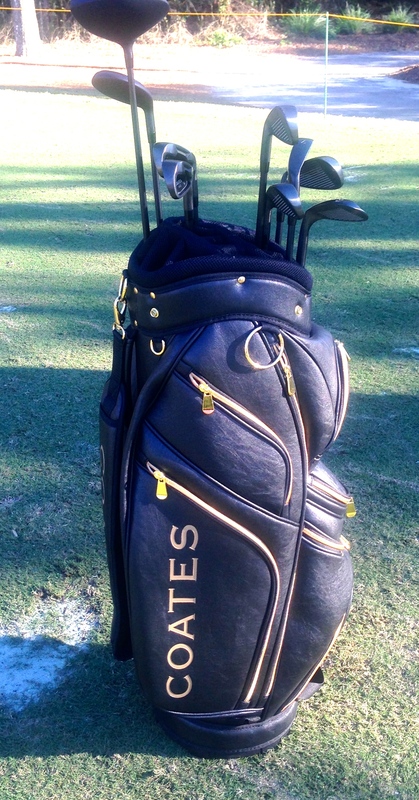 Coates Golf’s sleek, black clubs are an intriguing new addition to the golf marketplace. Coates also wasn’t your usual golf tournament sponsor. 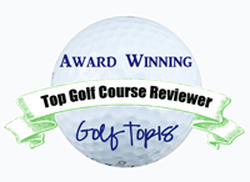 It’s a golf equipment manufacturer that is new to the market. 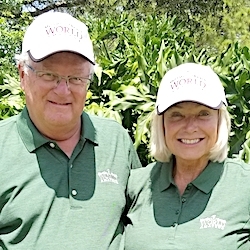 Mollie and Randall Coates are Golden Ocala members who entered the golf business only recently. 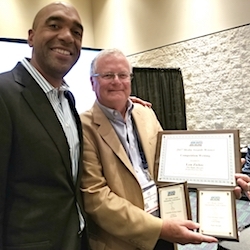 After several years of planning the Coates introduced their products at the 62nd PGA Merchandise Show in Orlando a week before hosting their tournament. The big launching came at the LPGA season opener – and that was most appropriate. Coates Golf is producing clubs made strictly for women. Other companies have offered “women’s clubs’’ over the years but not like the slick black ones that Coates put on the market. Theirs aren’t men’s clubs with adjustments made for women. This club-maker is all about producing equipment strictly for women. Coates clubs, understandably, haven’t caught on with the top players yet. Only Alexandria Jacobsen, who lives in Palm City, FL., and got into the tournament on a sponsor’s exemption, played their clubs in the LPGA opener. But women golfers will learn about Coates clubs quickly, now. The company isn’t just sponsoring this one tournament. Coates has signed on to sponsor LPGA events for two more years. The company has a full line of its sleek black and golf-colored clubs available along with bags, towels, gloves and hats. A full apparel line is expected to be offered in the fall. For its first tournament Coates chose an interesting place that has more advantages than just being close to home. Golden Ocala’s 6,541-yard par-72 course was designed by well-regarded Florida architect Ron Garl. 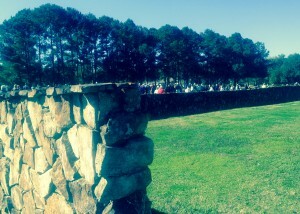 His creation includes eight tribute holes, three of which are patterned after holes at Augusta National – the Georgia site of the Masters every April. Golden Ocala has its own Road Hole, which is much like the famous one at St. Andrews in Scotland. Garl’s other tribute holes were patterned after holes at St. Andrews, Royal Troon, Muirfield and Baltusrol. Golden Ocala also has a 10-acre short game area and two practice holes in addition to its spacious driving range. It wasn’t exactly a mystery to the 120 LPGA players who showed up. 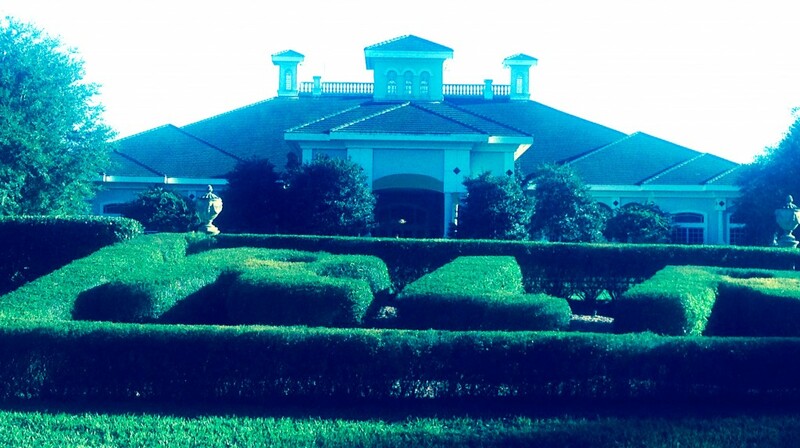 Golden Ocala was the site of the Golden Flake Classic, a stop on the LPGA’s Futures Tour 20 years ago. Australian Karrie Webb made that event her first professional victory, and she was also in the field for the Coates Championship. The field had other noteworthy players in the $1.5 million tournament, since 19 of the top 20 in the Rolex Rankings, nine of the top 10 on the 2014 money list and 28 of last year’s tournament champions competed in the Coates Championship. Of more historical note, the LPGA had two African American players in one tournament for the first time since 1971 when Cheyenne Woods and Sadena Parks earned places on the tee sheet. Woods, nephew of Tiger Woods, made her debut as an LPGA member. She earned playing privileges at last fall’s Qualifying School. Park earned her privileges off her play on the Symetra Tour in 2014. Though several others have played in tournaments on sponsor exemptions over the years, Woods and Parks are only the fifth and sixth African American players in the history of the LPGA. The first was the great tennis player, Althea Gibson, who competed on the golf circuit from 1964-71. Renee Powell had the longest such run, from 1967-80 and LaRee Sugg was on the circuit for two stints, from 1995-97 and 2000-01. Prior to Woods and Parks and last African American woman to play as an LPGA qualifier was Shasta Averyhardt in 2011. The Coates Championship was the first of 34 tournaments on the LPGA schedule. The circuit will have a record 390 hours of television coverage on NBC and The Golf Channel.